What’s the Difference Between a Hair Transplant and Hair Plugs? Think back to those dolls you or your siblings or friends had as a kid. Remember their hair? How clumps of it seemed to be ‘plugged’ into their plastic heads in neat rows? Whether it was a ‘real life’ baby doll, a Barbie doll or an action figure, their hair was always the same – reminiscent of rows of wheat or corn, neatly sown into rows by a farmer in a field. Now, technology has advanced so much that no longer does a hair transplant mean noticeable rows of hair. Today, the results are far more natural, and expert hair transplant surgical teams are able to produce results so natural looking that often, people are left guessing whether someone has had a hair transplant or not. You only need to look at our Hair Transplant Hall of Fame to realise that! A hair plug procedure involves a surgeon taking small, round plugs of tissue from around the back of the scalp, the ‘donor’ area, where the hair generally grows stronger. These plugs are generally around 3-4 mm in diameter and are removed using a punch tool. These pieces of tissue can contain four or five hair follicles and up to 20 hairs and the surgeon will normally remove them in rows from around the back of the scalp. The surgeon will then create rows of slightly smaller holes in the balding area around the top and front of the scalp, the ‘recipient’ area. The plugs of tissue and hairs are then transplanted into these new holes and depending on your surgeon and your rate of healing, these holes are then either left to heal, or are stitched up. When the transplanted hair begins to grow in it’s new ‘home’ in the recipient area, there could be up to 20 hairs growing from one new tiny section. Which sounds great, but generally, around the front of the scalp, hair tends to be naturally thinner. For example, at the front of a healthy scalp, one, or maybe two hairs grow from each follicle. Around the back of the head however, is a different story. Each hair follicle here usually contains three or four hairs. So transplanting up to 20 hairs into each recipient ‘hole’ results in a less than natural look. And since the plugs also contain surplus tissue, the transplanted hairs are not always sitting closely together, hence creating the sparse, doll’s hair look. Also, the scars left at the back of the head can be quite noticeable. 3-4 mm might sound small, but with hundreds of these punch holes removed from the area, the marks left behind can be fairly severe. How Do Hair Plugs Differ from Hair Transplants? Thankfully, as hair transplant science progressed, surgeons began dropping the hair plug system in favour of the Follicular Unit Transplantation, or FUT, method of hair transplantation. This method, also known as strip harvesting, involves the surgeon removing a long, thin strip of tissue from the back of the head, roughly from ear to ear. This strip of tissue contains lots of hair follicle units which are then individually removed from the tissue using a steady hand, a scalpel and a microscope. The follicles are grouped together according to how many hairs they contain and are then individually transplanted into tiny holes created by the surgeon on the front and top of the scalp. The surgeon is therefore able to place each follicle naturally, follicles with fewer hairs at the front of the hairline, follicles with more hairs placed further back. However, the FUT method isn’t without its faults. Understandably, removing a long strip of tissue from the scalp is going to leave a fairly significant scar behind. Those with longer hair styles at the back of the head are able to effectively cover this scar but those with shorter hair may have a noticeable scar for some time. So, as is common in this brief history of the science behind hair transplants, the methodology moved on. Today, hair restoration clinics like ours here in Antalya use the cutting edge Follicular Unit Extraction, or FUE, method of hair transplantation. FUE involves the surgeon taking tiny grafts from the donor area, using advanced microsurgery techniques. 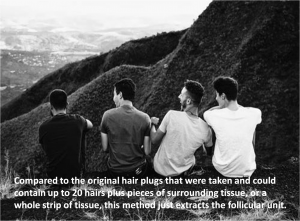 Compared to the original hair plugs that were taken and could contain up to 20 hairs plus pieces of surrounding tissue, or a whole strip of tissue, this method just extracts the follicular unit. Skilled surgeons are able to select the healthiest follicular units and choose the right number of follicular units containing one, two or more hairs in order to place them naturally across the recipient area of the scalp. The scarring is minimal, the recovery time is speedier and there’s no visible gaps between the transplanted follicular units, meaning that this type of hair transplantation is now considered the gold standard. It’s also a much quicker and less invasive procedure. Can I Have My Hair Plugs Changed? If you were among some of the first patients to have a hair transplant, going back to the 1980’s, then you might be considering another procedure to fix the ‘doll’s hair’ look of your hair plugs. Regardless of what hair transplant procedure you’ve had done in the past, be it hair plugs, FUT or FUE, it’s quite common to require a second, or even third procedure. Even the biggest stars have outwardly said they’ve required more than one, such as footballer Wayne Rooney and model, actor and reality star Calum Best. Sometimes as hair loss continues, it becomes necessary to have subsequent treatments, and it’s also very common for those who’ve had plug style hair transplants to have a more up to date treatment such as FUE to fix any problems. Surgeons can expertly add new transplanted follicular units in between the existing hair plugs to even out the hair line and make it look far more natural. And since the technology has progressed so much since the original hair plug procedures, you’ll be surprised by how quickly the procedure can be completed, how minimal the scarring is and how little it hurts. Obviously, each case is different and to find out if you’re suitable for a second hair transplant it’s best to have a chat with an experienced surgeon. Don’t let past procedures put you off, and don’t think that there’s nothing that can be done! 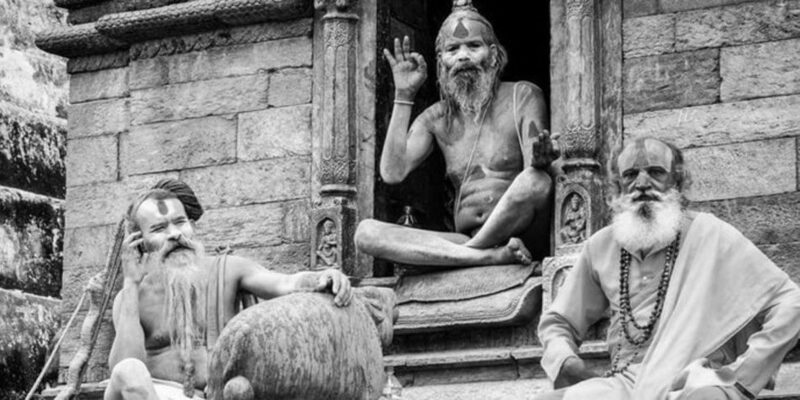 Hair transplant techniques have come a long way over the years, and we’re proud to be part of this change. We only offer the advanced FUE method here at the DK Hair Klinik so that we guarantee our patients the best, most natural outcomes. Contact us for a free, no obligation online consultation and find out how an FUE hair transplant could transform your life. « Who is the Best Hair Transplant Surgeon in Turkey?